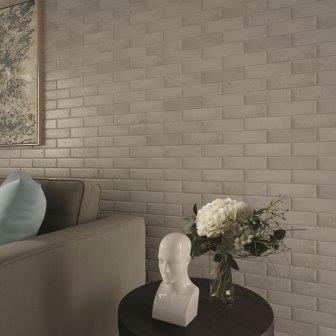 American Olean has introduced four new tile collections. Inspired by classic materials such as cement, brick and natural stone, the latest collections provide a contemporary twist that will elevate both commercial and residential installations. The new product offerings include: Theoretical, an industrial cement look; Rosendal, a contemporary, rich wood look; Bricktown, a painted brick look; and an expansion to the Entourage mosaic collection, adding five stunning glass tile, and glass & stone blend styles. 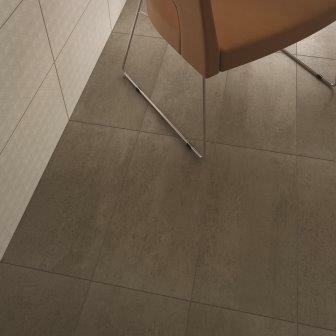 With a nod to minimalist simplicity, Theoretical by American Olean is inspired by the modern, industrial look of cement. Reimagined with subtle graphic variation for added richness and depth, its versatility makes it perfect for commercial or urban residential applications. Available in 10 neutral hues to complement a range of color palettes and patterns, Theoretical is the perfect foundation for endless design options. A contemporary take on the popular wood-look tile trend, Rosendal pulls its inspiration from the clean lines and understated elegance of Scandinavian wood. Soft linear grain runs the length of each piece for visual richness, while a neutral color palette provides a crisp, contemporary aesthetic. Available in two linear sizes, Rosendal adds modern appeal to commercial and residential design alike. 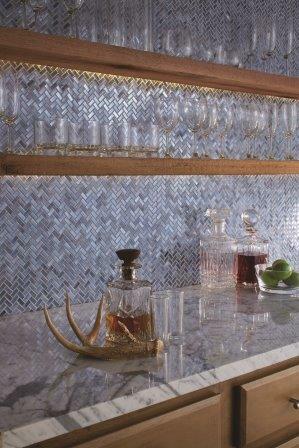 A collection of stunning decorative mosaics and wall tile, Entourage products can be used to create striking backsplashes and accent walls for a sophisticated design. Glass, stone, metallic looks and textured tiles blend together in highly original combinations ranging from linear to hexagonal formats. Available in a wealth of rich color options, Entourage products mesmerize with charm and transcend in style. This summer, the collection is adding five styles, expanding the offerings to 13 unique looks. To view all of American Olean’s extensive product offerings, visit www.americanolean.com.